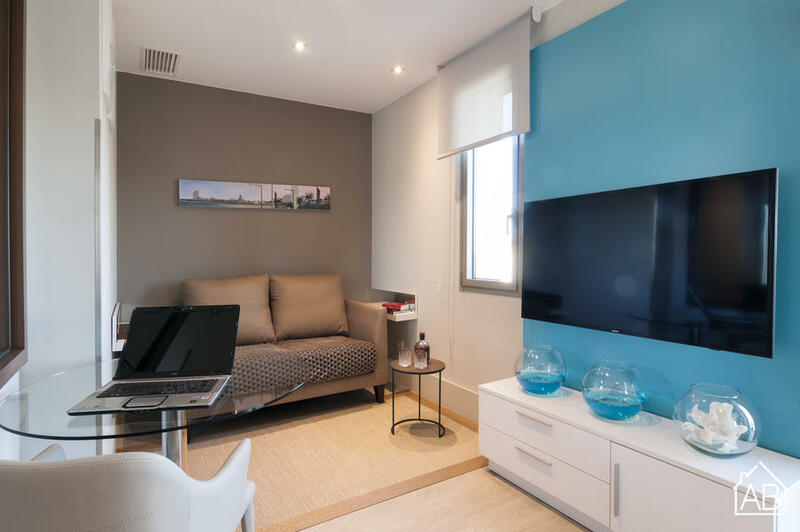 Situated just 500 metres from the beach in the vibrant Barceloneta neighbourhood, this modern apartment is located just 800 metres from Barceloneta metro station. The apartment sleeps up to 4 people across two bedrooms, each of which has a double bed. The apartment has a beautiful living and dining area with a sofa, flat screen TV and a dining table, complete with chairs. The kitchen area is open plan and there are two modern bathrooms. The Old Town is just a 15-minute walk from the apartment, where you can find even more bars, restaurants and shops, and the rest of the city is easily accessible on foot or by metro. Barceloneta is a great choice for those interested in the beach, local culture, and city stays.